RXBAR offers a more natural bar for those looking to fuel their next race or training run. RXBAR shares their ingredients right on the front of the packaging and offers a no BS approach to race nutrition. Recently RXBARs introduced a new Nut Butter line offering athletes a lightweight nutrition packed fuel option. 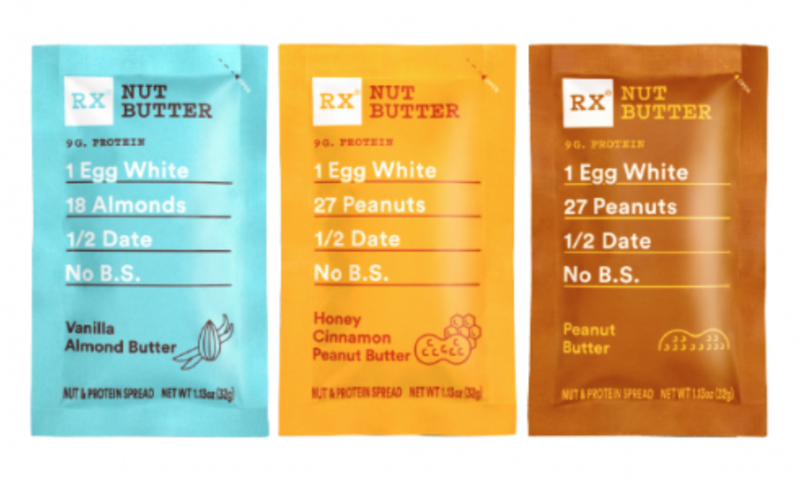 Three new nut butters offer a sweet protein-packed trail option. 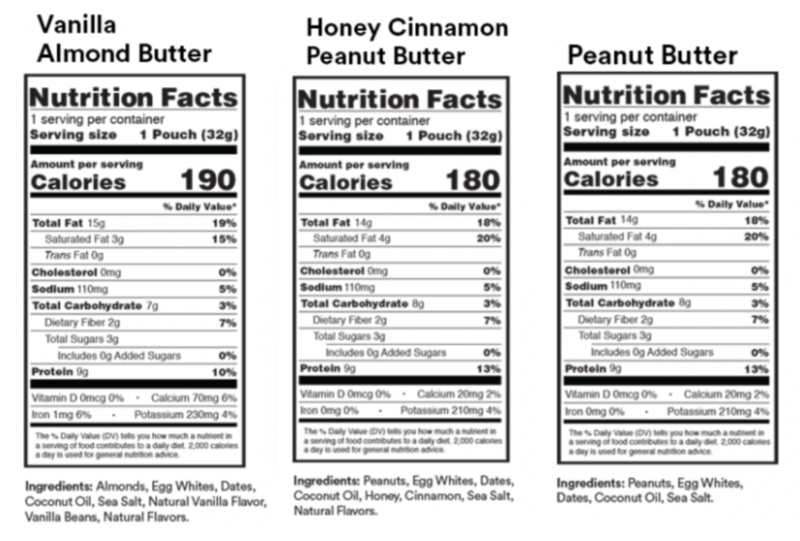 RXBAR offers three Nut Butter options Vanilla Almond Butter, Honey Cinnamon Peanut Butter, and plain Peanut Butter. The three are boosted nut butters with the addition of an egg white and half a date. The ingredients are simple and with each packet weighing just over an ounce, it's the perfect snack for those who want a lightweight calorie packed option either racing or training. RXBAR offers a variety pack of 10 packets offering all the flavors for $17.00 from the website. They retail at most outdoor retailers for about $2.00 a bar. I recently took some out on the trail with me. 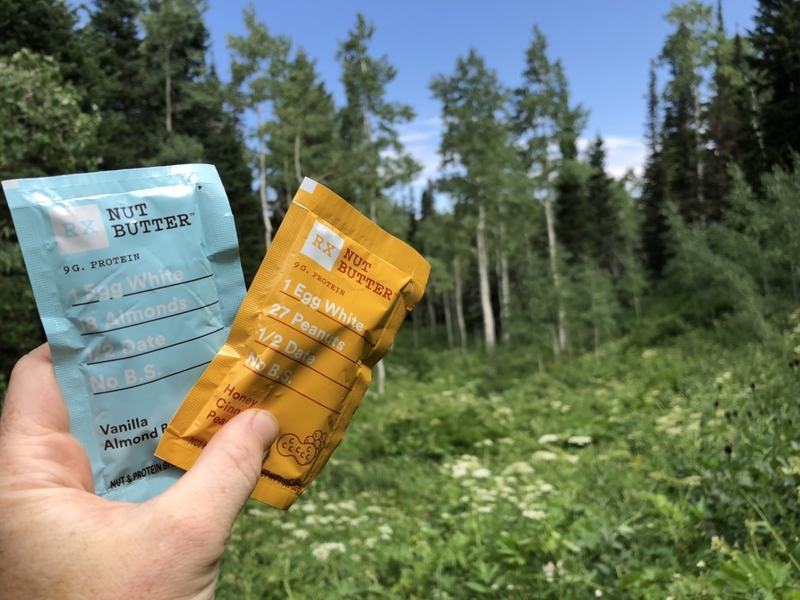 I was first introduced to carrying nut butter packets with me on the trails in 2013 when Ian Sharman talked to me about weight to calorie ratio when carrying nutrition on the trail. As a past world record holder, he knows a thing or two so when he offered advice I listened. Since that time I have always carried at least a packet or two of nut butter in my hydration vest. However, up until not the options have been limited to only about one or two companies. But at times the texture was weird and the nut and oil separated. I took out the RXBAR Nut Butters out on the trail expecting some of the same. However, when I opened the vanilla almond butter packet I was happy that it all seemed to be mixed together and I wasn't a complete mess on the trail eating them. As with eating any nut butter straight, it's always good to have some water to help wash down the butter. But overall, the taste was great and I really enjoyed the butter. I will be adding it into my nutrition rotation for both training and also traveling when I need a quick snack on the run.